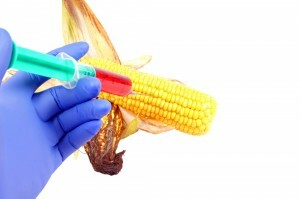 There is an ongoing debate going on regarding the proper labeling of GM food products. Currently, consumers do not have the means to determine whether food products that they buy at the supermarkets contain ingredients coming from GM crops. With the cultivation influx of GM corn and GM soy in the US agricultural sector, it may be logical for people to know what types of ingredients are found in the food products they buy. But ironically enough, the biotech companies, the very champions of GM food, are trying their best to prevent this from happening. Sometimes, it makes you think why the very companies that promote and market GMO’s are also the ones who do not want consumers to know what food products may contain them. Is there something that they are hiding? Is there something they know that we do not know? Looking at it, there may be only one reason why the biotech companies are doing this- protecting their profits. The adoption of GM crops in the US agricultural industry has relatively been quick and quiet. Not a lot of consumers may know the fact that around 90 percent of corn planted in US farms is of the genetically modified variety. GM soybeans account for around 94 percent of all varieties being cultivated in us farms. Other GM crops grown in US farms include GM cotton, sugar beets and rapeseed. Although humans do not directly consume most GM crops, around 60 to 70 percent of processed food product contains ingredients that come from GM crops. This is how they get into most of America’s dining table. Unfortunately, there is now way of knowing yet whether that food served on the table may contain GMO’s. The biotech companies are arguing that because of this indirect route, there is no need for products to be labeled for containing GMO’s. This way, the biotech companies may be able to protect their bottom line. Lack of proper labeling works well for these companies, but not for the ordinary consumer. Consumers have all the right to be informed of what they serve on their dining table. And yet, information about GMO’s found on food products still remain unknown and unlabeled. Since the 1990’s, GM products have found their way into many American homes. It now shares a large portion of food that gets into the dining table. And yet, many consumers are not aware because of no proper labeling of GM products. But while the biotech giants continue to use their power and influence in fighting this, proper GM product labeling may still be an uphill battle. In addition, with the US agriculture steadily becoming dependent on GM crops, it may be difficult to convince the government to put GM food labeling into law. Politics always get in the way of the real issues. With the growing concern regarding the safety of GM crops for human consumption, it is important for consumers to know whether what they buy may contain something that may affect their overall health and safety. But unfortunately, that still remains to be seen.